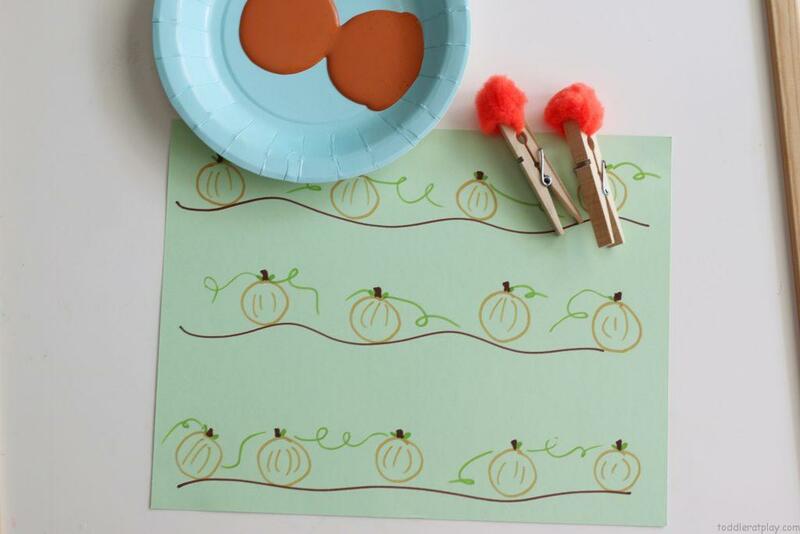 This Pom Pom Pumpkin Stamping is so fun and adorable, and of course the most perfect craft to do this Fall! Alina (4) has been into painting lately, BIG TIME. 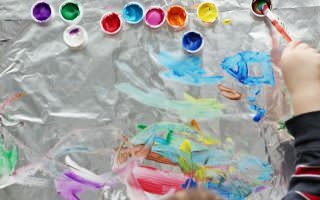 Give her a brush and some paint and she’ll spend an hour easily, creating a big messy Vincent van Gogh painting. Which of course is beautiful like in every mothers eyes 🙂 I know she’s using her creativity, imagination and adds her own touch of her little personality to every piece of art she does. It’s great! 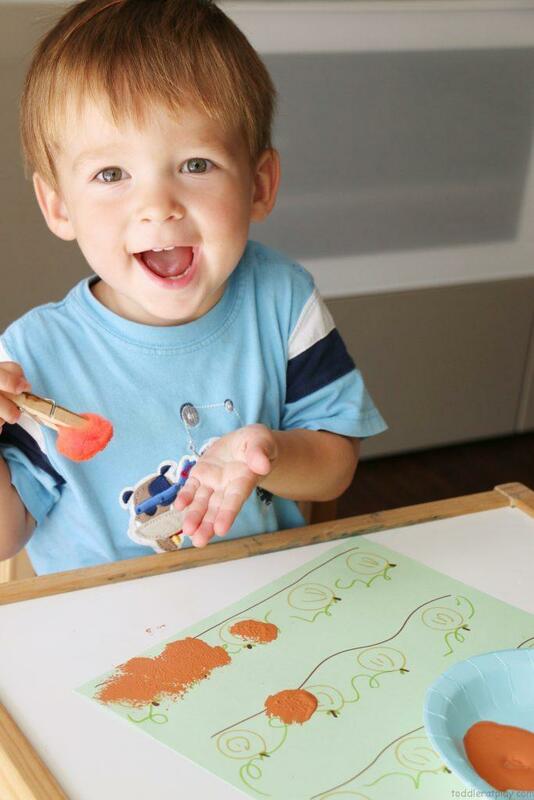 Painting is great! Maybe a little messy. 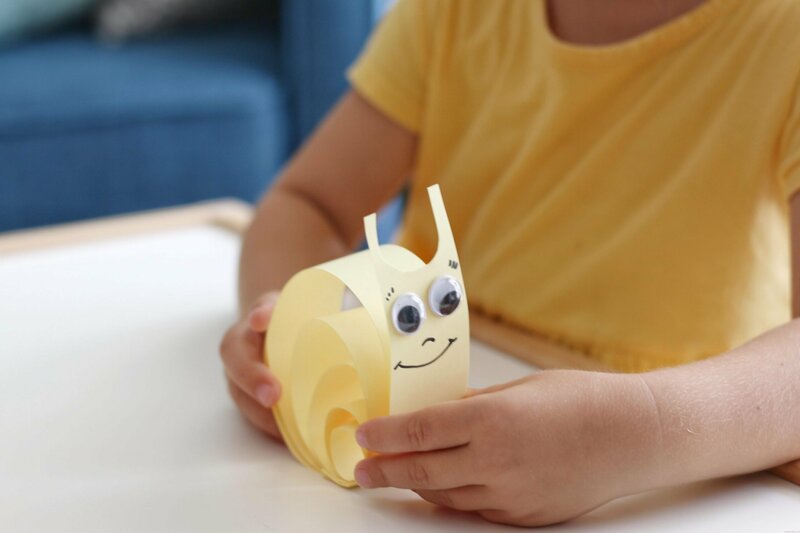 But who cares, it’s washable and the best part is I know kids are learning and developing through such crafts. 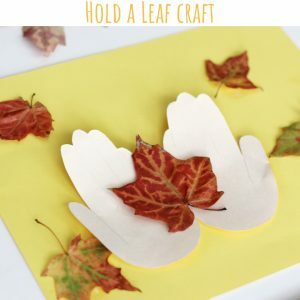 WATCH THIS QUICK VIDEO TUTORIAL! 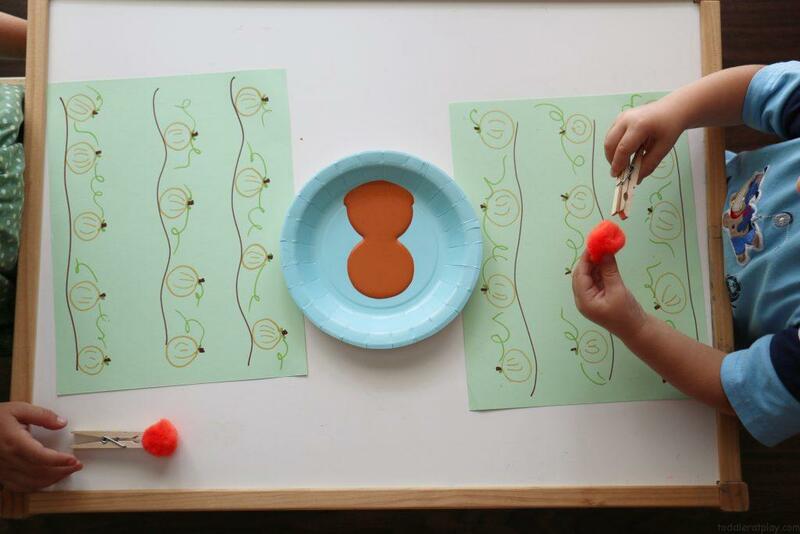 But since it’s almoooost Fall, I wanted this craft to be all about the color orange and pumpkins. 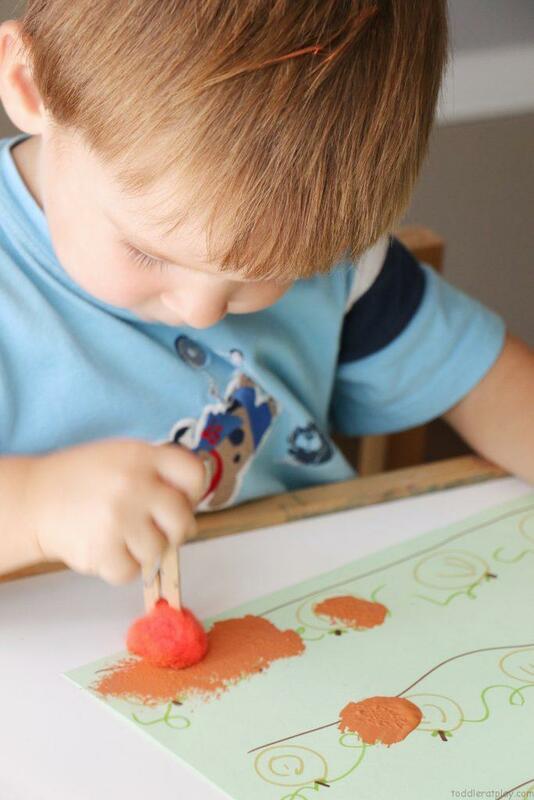 It’s easy to set up and there’s nothing better than dalloping paint, with a pompom all over a piece of paper. Even my younger one, Viktor who’s 2, had the best time of his life. 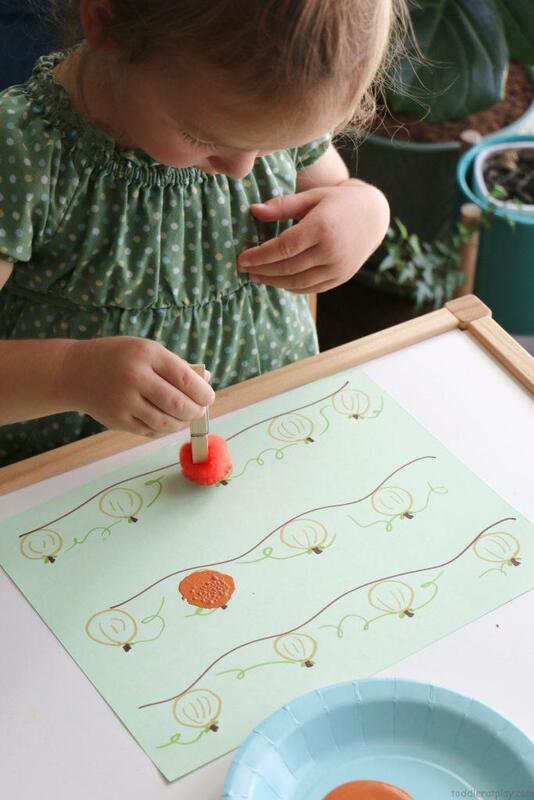 With a permanent marker draw a simple pumpkin patch with several pumpkins, vines and leaves, using different colors. 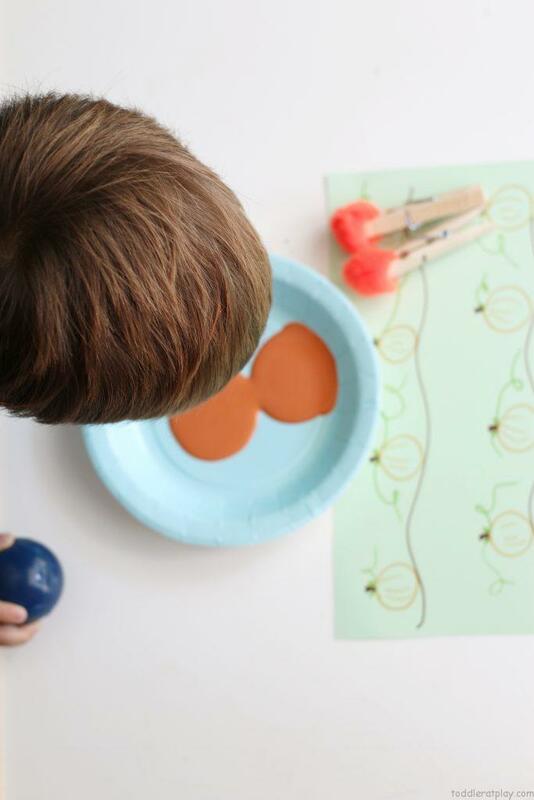 Squeeze some paint into a paperplate. Clip a pompom by a clothespin. That’s it. Prep is done! 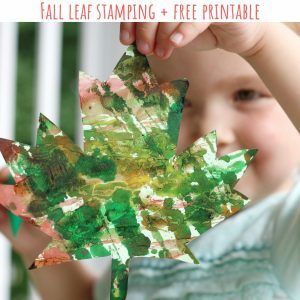 Let kids enjoy this Fall craft by stamping their pumpkins with paint. 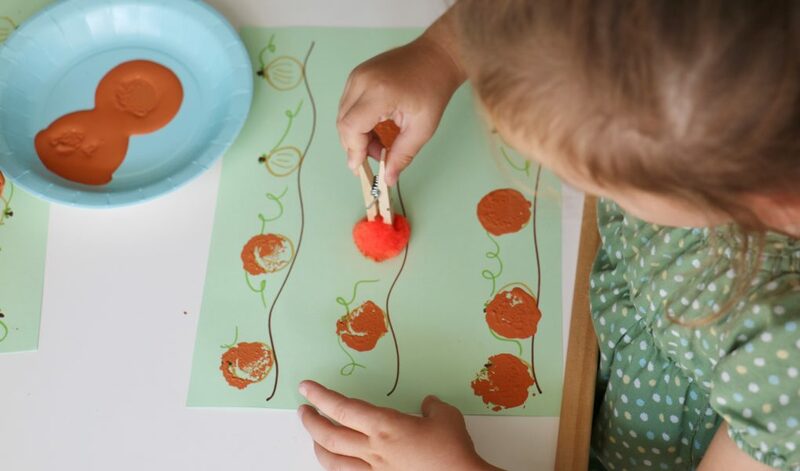 Pom-pom Pumpkin Stamping is a new way for kids to enjoy using paint, learn a color and use as well as improve their developing skills. 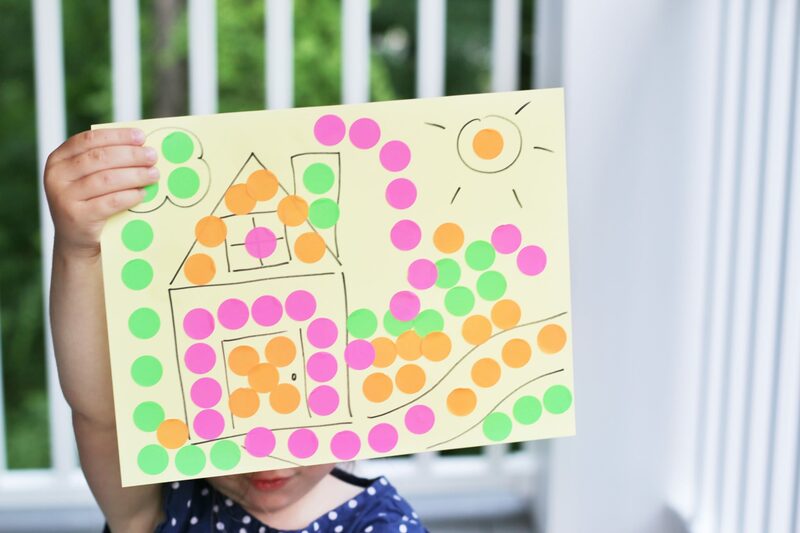 It’s easy enough for 2 year olds, so I love this activity becuase it’s suitable for both of my kids and they get to do it together. 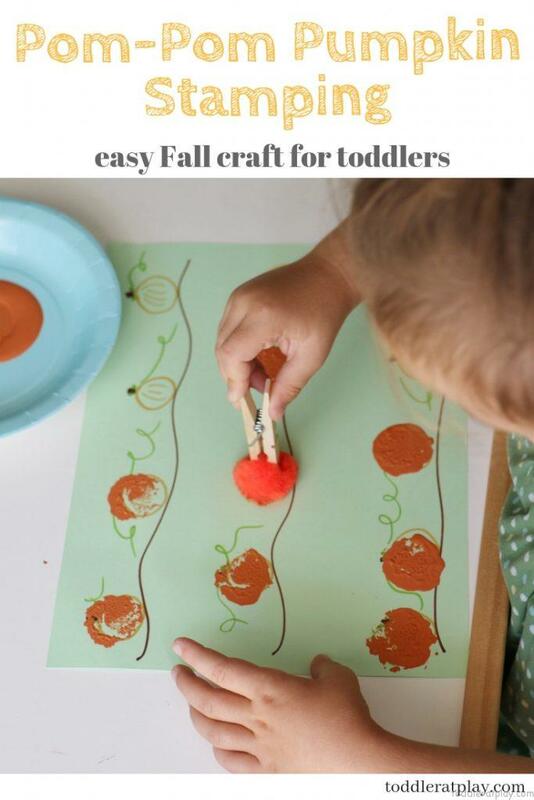 Will you make this craft this Fall?